There is no great drama to Hong Kong tipping. Unlike the US where you need a calculator and a mountain of spare change to stay on top of the tipping game in Hong Kong tipping is relatively straightforward. Hong Kong staff are on a salary that isn’t set artificially low with the expectation it will be bumped up by tips. This salary is built into the cost of your food, drinks or whatever other services you are using. Most restaurants in Hong Kong will slap an extra 10% service charge onto your bill. This is usually flagged in the menu and you don’t really need to contribute more than this 10%. That said if the service really has been excellent drop a few more notes above the service charge as that’s the only way to ensure that your actual server gets the reward for their hard work rather than the company. 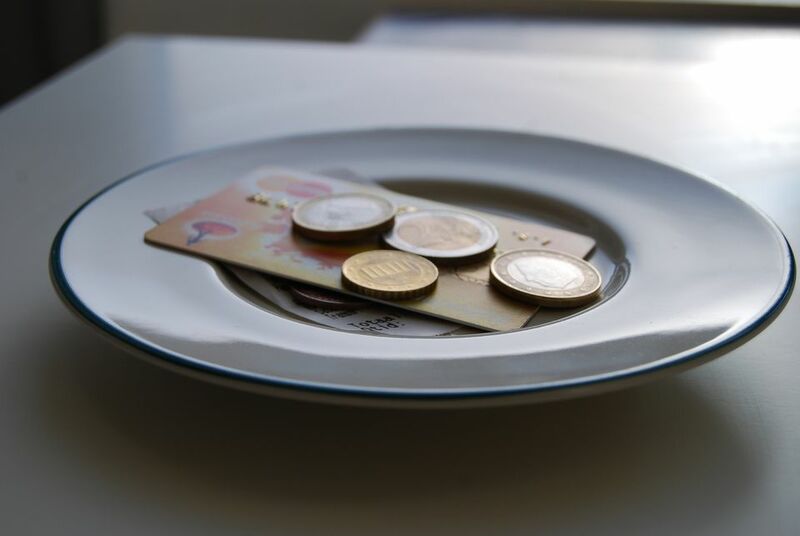 It’s not expected to leave a tip in a bar or pub unless you are seated and receiving table service from a waitress. If you are, you will usually find 10% added on to the bill as a service charge. Leave more if you receive excellent service. Similarly, if you buy a large round of drinks then round up and leave the change for the barman. Taxi or cab drivers don’t expect to be tipped but it is the norm to leave any small change. So if the ride comes to HK$46.30 and you pay with an HK$50 leave the change. One of the more unexpected places to find yourself reaching for coins is hotel and upscale restaurant bathrooms. In a slice of the roaring twenties, several Hong Kong establishments continue to have attendants in bathrooms ready to hand you towels to dry your hands and douse you in a mist of aftershave or perfume. It’s customary to offer these attendants at least a few coins for the service, although those unfamiliar with this level of contact inside a bathroom may go screaming for the door before they can reach for their pockets. Something that is more unusual for tourists is the custom of Lai See. These small red packets stuffed with fresh bank notes are given out at Chinese New Year to family members, but also to security guards, receptionists, hairdressers and anybody else who provides you a regular service. It’s sort of a yearly tip for services received. There are some rules on giving, based on age and marital status, as well as guidance on how much you should give. Face is an incredibly important part of the culture in Hing Kong and Asia more widely. Essentially it involves respect and making sure that you don’t cause anyone you interact with to lose face by your actions. Face is too large a concept to dive into in an article about tipping but suffice to say that it does mean that you shouldn’t wave money around in front of anyone you are tipping or make a big deal of the tip generally. This highlights the fact that you are more important that the person serving you and is considered extremely bad manners.